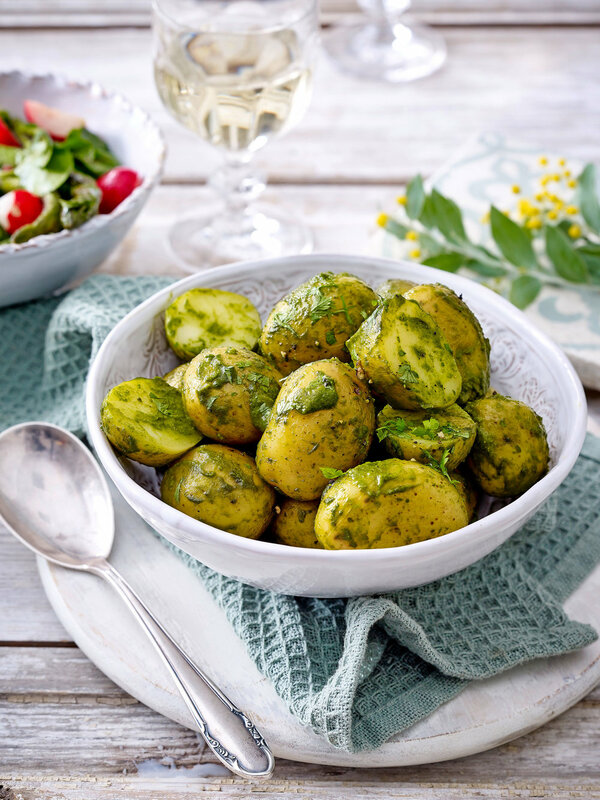 Growing in woodland throughout the UK, wild garlic has a pungent flavour which goes wonderfully with new potatoes. Serve hot as a side or keep in the fridge for a tasty snack. New potatoes tossed in wild garlic and olive oil. Simple and delicious. Place the potatoes in a large saucepan and cover with cold water. Bring to the boil, then simmer for 10 mins until softened. In the meantime, place the wild garlic in a food processor and add the olive oil and lemon zest and juice. Season with salt and pepper and blend until a rough paste. Once cooked, drain the potatoes and return to the saucepan. Roughly stir in the wild garlic mixture, then transfer to a serving plate and serve immediately..